With global spending on the internet of things (IoT) expected to rise to $745 billion this year on the back of 14.2 connected things, Toshiba is ramping up its strategy for connected devices and connected ecosystems. 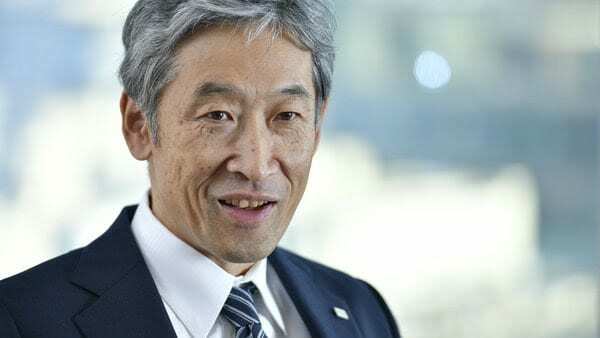 “Toshiba's aim is to be a company that solves social problems with technologies that fuse the cyber and the physical, the real world,” Toshiba’s Chief Technology Officer (CTO) Dr. Shiro Saito said in an interview posted on the corporate website. Cyber-physical systems (CPS) are not new, but Saito is contributing to the discourse by discussing CPS as a strategy at Toshiba. “At Toshiba, we can point at many things we are working on at the technology level. One is the virtual power plant (VPP). Here we are using IoT to coordinate distributed power sources, such as solar, wind power and hydrogen power generation sites, electric cars and rechargeable batteries, and to coordinate their operation as if they were a single power plant,” he said. He cited robotics as another area the company is promoting technology integration. “To be more specific, we are using our sensing and control technologies to develop robots that can automate logistics, and devising technologies to collect and analyze operating status data and efficiently operate multiple robots,” he explained. The multinational conglomerate headquartered in Tokyo was founded in 1875 and today has a diversified portfolio of products and services that cut across many industries, including power systems, industrial systems and infrastructure, IT and communication, consumer electronics, household appliances, medical and equipment, and electronic components, among others. In the fiscal year 2017 (April 1, 2016 to March 1, 2017), it reported net sales of ¥3,947.6 billion. While the company slashed its operating profit forecast for fiscal year 2018, it said in its latest earnings presentation that there will be no major changes to the premises of the Toshiba Next Plan, which includes, among others, restructuring sales activities. The company specifically mentioned "creating data-driven improvement ideas in six mass and medium-IoT business units" and advancing two business units from idea creation to execution phase." He said this broad knowledge base of the physical domain provides the company with a rich source of “domain assets” to become a global leader in a world where cyber and physical technologies are starting to merge. In the interview, Saito said that they are increasingly able to use sensing and network technologies to gather information from product operations to systems and services. “We can then use AI and other technologies to analyze and understand that data in cyberspace, and output it as feedback into the real world — as optimal solutions, forecasts, and plans that add value to real-world technologies, products and services,” he said. “We believe that repetition of this cycle will lead to the creation of even newer technologies, products and services,” he added. The Toshiba CTO also said that truly innovative technologies like those that triggered the industrial revolution have not appeared. However, the firm sees that fields like AI and deep learning are experiencing a remarkable technological evolution. “We believe that, in coming years, the key will be working out how to integrate these cyber technologies with real-world technologies, such as biotech, robotics, and sensing,” he said.